- To get eligible for this amount you need to be a contributor in GOSI and you should register for it online. 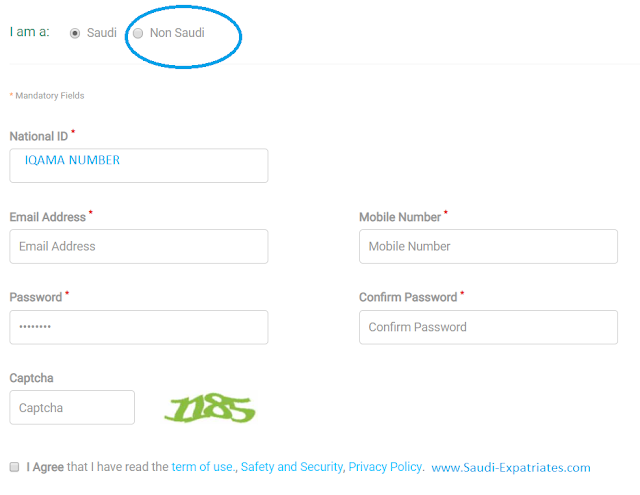 Every company pays certain amount to GOSI as contribution for each employee, Now you only need to register it online. 1. 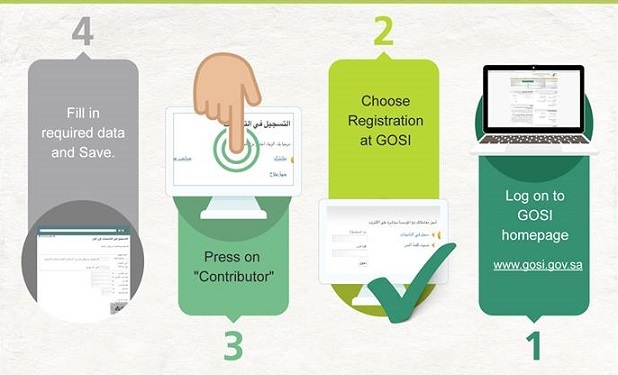 Follow the official link of "GOSI" and click on Register and then ' AS CONTRIBUTOR', You can switch between the 'العربية' or 'English' language from the top. - Enter Email address, Confirm Email Address, Password, Confirm Password, Mobile Number, Confirm Mobile Number, Image code as seen in the below image, You may need to agree terms sometimes by clicking on small box.